We Teach Students About Nutrition And How To Make Healthy Food Choices! It's essential that our students are taught and understand the difference between what is “real food” and what are “processed foods”. We know that most health problems adults face today are self inflicted, and in most cases, could have been avoided had they adopted the principles we teach. Our mission is to teach our little ones a healthier way to eat, raise their awareness of ingredients (good and bad) and prepare them to live a long, healthy life. We accomplish this by developing our own curriculum. It’s full of important lessons and lots of fun. Our program has been time tested over the years and proven to be very effective. Our curriculum was developed around our slogan which is "We Don't Change the Dish....We Change the Ingredients!" In short, we simply clean up any dish that kids already know and love then swap bad ingredients for healthy alternatives using natural and organic foods. Also, cooking classes help build a foundation for many essential life skills. Learning to cook helps kids build self-esteem, learn basic math skills and develops their growing vocabulary. Additionally, cooking together fosters stronger relationships with family and friends and helps cultivate the all-important skills of listening to, and following, directions. Using organic spinach or kale, students blend ice and ingredients to prepare smoothies that are both healthy and refreshing. Another dish that's a favorite among our students is freshly made beet pasta; A healthy alternative to a popular processed food. Students learn how to prepare a simple, healthy base to many dishes involves whole grains used in breads and specialty pizzas. Students find out how to prepare a favorite vegan dessert using healthy ingredients including zucchini. Students dice, chop and mix organic ingredients to prepare delicious soup that is not only healthy, each dish is a masterpiece! Students discover a healthy alternative to processed flour, replacing it with black beans for a moist, mouth watering healthy dessert. Safety is our #1 priority. Students will not come in contact with, or even come close to heat at anytime. We only use utensils designed specifically for children. For example, our knives are made from nylon and have ergonomically designed handles designed for easy grib by small hands. We are sensitive to all food allergies and can easily work around them. We require they be disclosed by the parents at time of enrollment. We do NOT use any peanut products at any time. 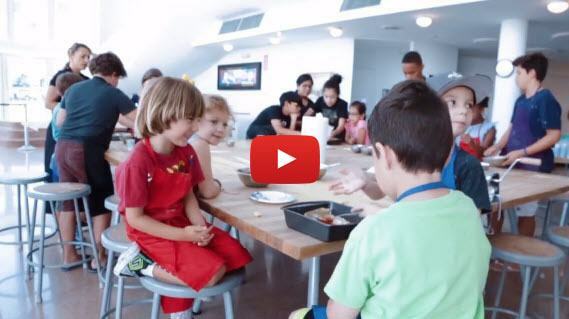 We offer cooking classes for pre-k all the way to 8th grade. There is a minimum of 6 students and a maximum of 12 students per class. We come to you! Because we are 100% mobile, a kitchen is not needed. We can setup in any classroom, cafeteria, lounge, etc. 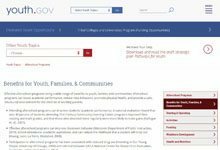 Booking an after-school program is handled by phone only. Please call (786) 395.0355 to get started booking an after school program now. A kitchen is not needed. We can set up in any classroom, cafeteria, etc. Some of our dishes include: Flourless brownies made with black beans, begerable soups such as minestrone, green smoothies using spinach or kale, vegan cupcakes with zucchini, freshly made beet pasta, whole grain breads and special pizzas, etc. We do not use any artificial food flavors or colors. Ever. Students will receive a hand out with the lesson plan, and recipes to take home and try again with parents or siblings. At the end of every class, the students will enjoy a very hearty and healthy meal they helped make. The Real Food Academy currently offers it's After School Program to many of the most prestigious private schools and Community Centers through out Miami-Dade and Broward counties. Many of our schools feel it's the best enrichment program they offer. This program is designed to help kids understand the importance of nutrition, boost their self esteem, while learning to eat new foods. 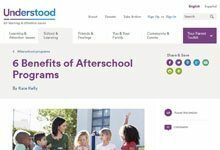 Why Should Your School Offer Our After School Program? Let's start with amazing results! Introduces science, math, geography and social skills. Involves reading and following directions. Cooking will help develop their senses. Teaches proper handling of utensils and helps develop motor skills. Kids who get involved in cooking and learn about where foods come from, tend to develop more healthy eating habits. Others Who Believe As We Do, That After School Programs Create Well Rounded, Well Behaved Children. 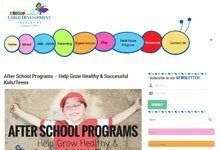 Your Program Teaches Children About Healthy Choices! Your program teaches children about healthy choices, how food is grown, and the agricultural process foods goes through and so much more! It opens the children’s eyes and exposes them to “What it Means to be Healthy and Eat Healthy!” The children work in groups and learn about community building, working together and the end result is DELICIOUS!!! A special thank you to the The Real Food Academy for the many years of excellent service and education that your Chefs have brought to the children of Le Petit Papillon Montessori School! We wish you much success in the years to come!